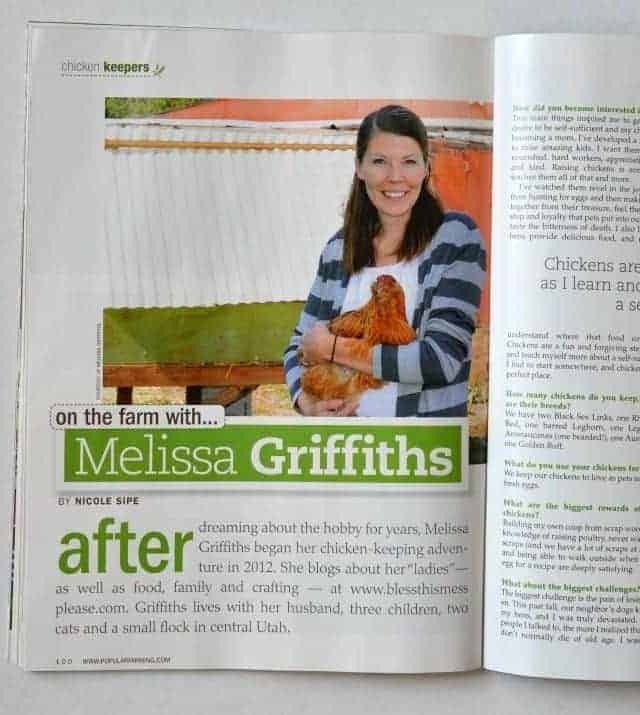 Remember that one time I was in a Popular Farming Chickens magazine?! Oh, you have no idea what I’m talking about? That’s because the issue just made it onto shelves!! 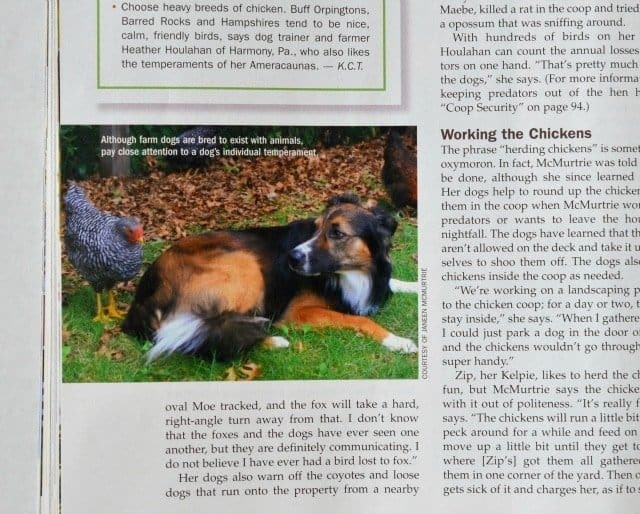 I’ve been sitting on this secret since the beginning of October when Popular Farming contacted me to see if I would want to be included in the 2013 edition of their Chickens magazine. Yes, yes, yes! How fun. I just answered some questions and sent a picture and then waited and waited. The magazine is a pretty all-inclusive publication that just comes out once a year. It’s big and detailed and I am in love. The best part is I asked if they would send me a few extra copies to give to you all and they agree. Details on that at the end of the post. I was expecting a little column and not much more. I was shocked and so excited when the magazine came in the mail and I had a full two-page spread. I’m not gonna lie… I’m feeling pretty fancy! Because it only comes out once a year it really covered a ton of information from housing, health, predator threats, breed temperaments, hatching in incubators, and a million other cool things any chicken lover would like to read. Whether you have hens of not it’s a pretty fascinating topic when you get into the details. Here were my other favorite parts of the magazine. 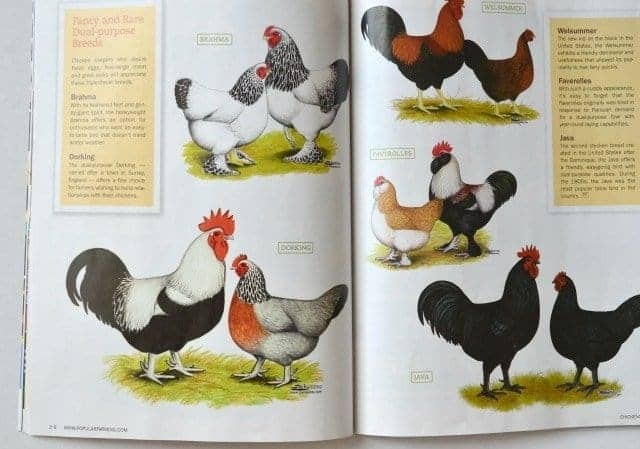 Great pictures and tons of info on breeds I didn’t even know existed plus a cool list of endangered chickens and details on how and who raises them. I think I might want to get into rare chicken breeding. And one of my favorite articles was actually about dogs! It went into detail on what breeds of dogs can be “chicken trained” to actually protect the hens along with the farm in general and not eat them (as well as which breeds to aviod). It was amazing to read and got me excited for the day we have a bigger hobby farm and can include a dog. Seriously interesting info. I know this giveaway isn’t for everyone, but if you are interested in a fun chicken resource by all means, enter to win! If nothing else it makes really great coffee table material would be a good conversation piece. Who doesn’t like chickens?! Good luck and thanks so much for hanging out with this chicken lovin’ gal! Disclosure: Popular Farming Chickens Magazine sent me three copies to giveaway and I am paying for and doing all of the shipping. I just found your blog and I love reading your adventures! Aww! Nice comments are the best. Thanks you! Awesome! I love my 6 chickens. I would love to learn more about them too! Gah! Where do I buy it if I don’t win?! How awesome for you, seriously!! I love my 10 girls. It’s always nice to hear stories and tips from others who raise chickens as well. Congratulations!! 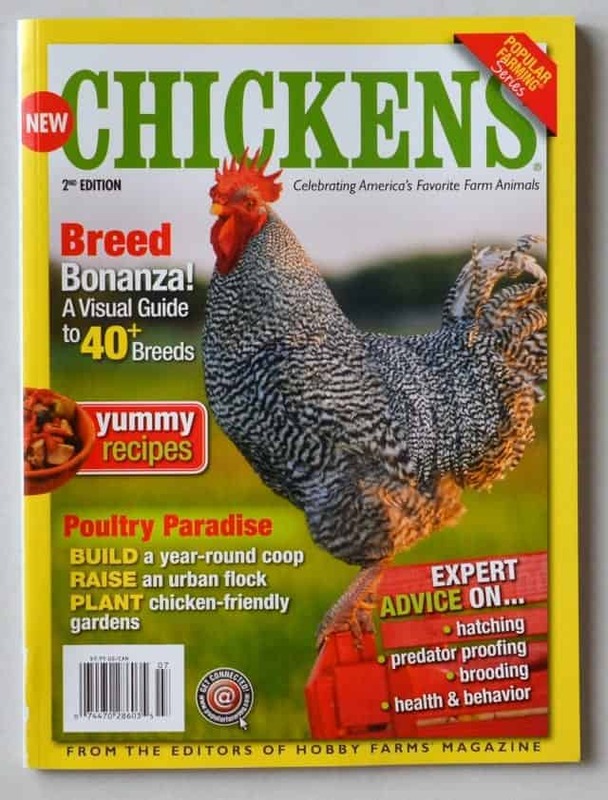 My husband and I are just starting chickens this year, so this magazine would be PERFECT for us!! Would be really interested in learning more about chickens. We just bought 6 chicks so I would love to win this magazine! We got them at 5 days old and they are already growing SO fast!! This is so exciting. You are so FANCY!!! I am loving all your success! It was a great article and I plan on saving a copy for our “family history” box. This is soo cool! I’m so excited for you, very fancy! How exciting for you! Congratulations and thanks for the chance to win a copy! Hooray for you! That is absolutely terrific! I love following your chicken adventures. I had Bantams growing up and would love to have chickens now, but the fox population where we are prohibits it. Can’t wait to read the magazine! Actually, I love reading about all of the things you do! Thanks for a great blog! Awesome timing! We are getting chicks tomorrow. I might have to get some advice. I just found your blog, what a fun read!! Congrats! I remember when my son and I were in a magazine and I was dying to get a copy. It is so thrilling. It looks like a beautiful article! Look forward to following along on your adventures! Love chickens,always want to learn more about them… Love to win this book!!!! 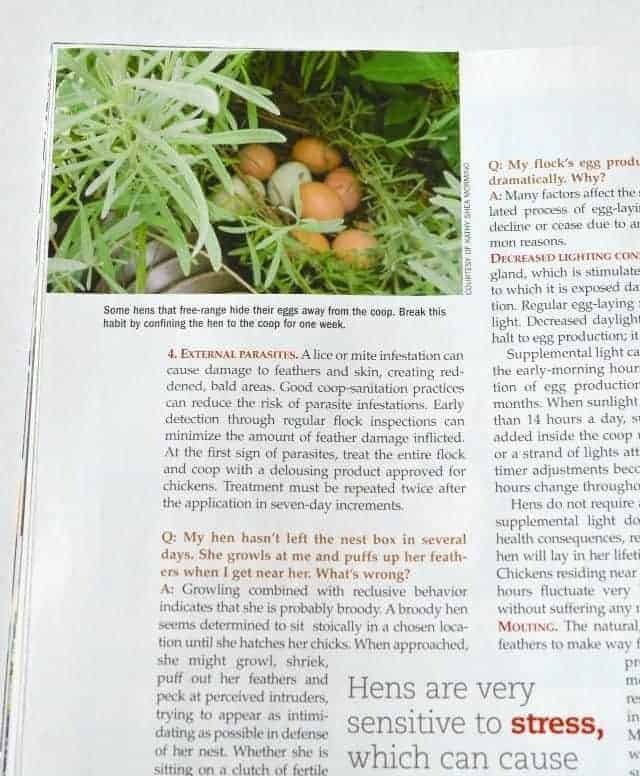 We have 3 “suburban” laying hens and I would luv this magazine! Congrats on being featured!! 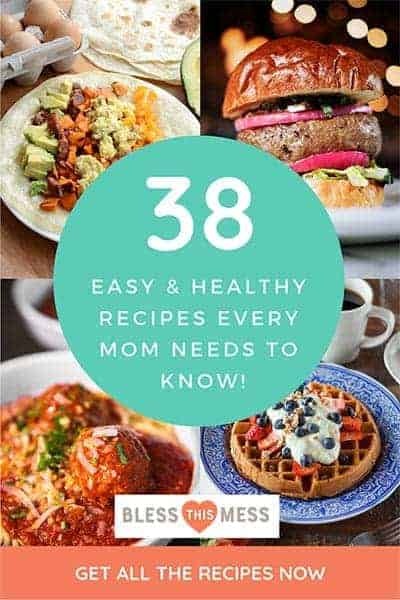 This is a great giveaway – I can’t wait to check out this magazine! Congratulations! Thanks for a great giveaway! Congratulations! I’ve been wanting to get a handful of chickens myself, my parents have them and just love them!! Now if I can get a backyard big enough to actually put to use the information about chickens! Congrats! That is super cool and you are totally legit! Melissa!!!! That is awesome!!! I’m excited for you! You’re blog looks so good too, it great!!! Where can you buy the magazines at? .Get a Copy of Your Favorite Issue! For a copy of Popular Farming® Series, visit your local bookstore or farm supply store. The Popular Farming® Series is available at retailers such as Atwoods, Big R, Bomgaar’s, C-A-L Ranch Stores, Coastal Farm & Home Supply Co., D & B Supply, Farm and Fleet, Global Pet Foods, Lemos Feed & Pet Supply, Murdochs Ranch & Home Supply, Orschlen’s, Runnings, Rural King, Theisen’s, Zamzows and others. You may also buy online (http://www.shopanimalnetwork.com). The Popular Farming® Series is not available by subscription. 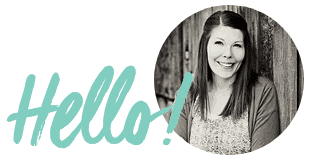 Just found your blog thru Hobby Farms Mag and love it! new follower here 🙂 Thanks!!! This would be cool to win! Looks like a neat magazine! You aren’t dumb, my thing is probably wonky 🙂 I did get your email either way so thanks! Where can I get a subscription of this magazine?